NaNoWriMo is just days away. Amongst all the excitement for the kick off of the challenge there is also feelings of panic that come when you realised you've signed up to write 50K in just 30 days. It's not as bad as your over-active writers imagination is tricking you into to thinking it is. 50K in 30 days is in fact just 1,667 words a day. That already sounds more doable right? 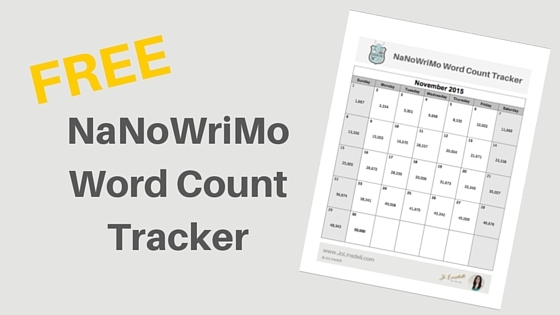 It's a calendar format for the month of November, where you'll find your word count goal labeled on each day. There is also space for you to pencil in your daily word count so you can make sure you're on track for hitting your end of month goal of 50K. 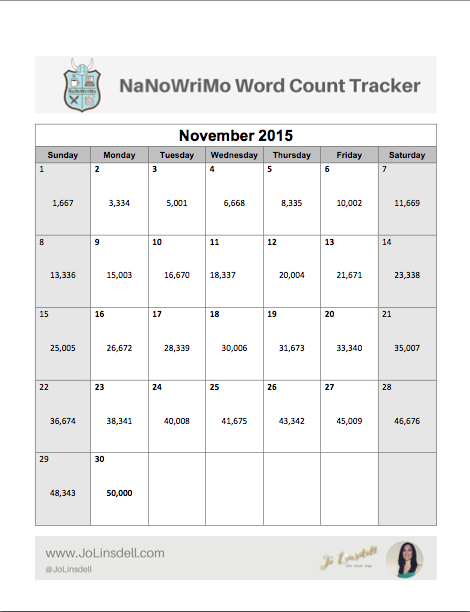 Download the NaNoWriMo Word Count Tracker now!